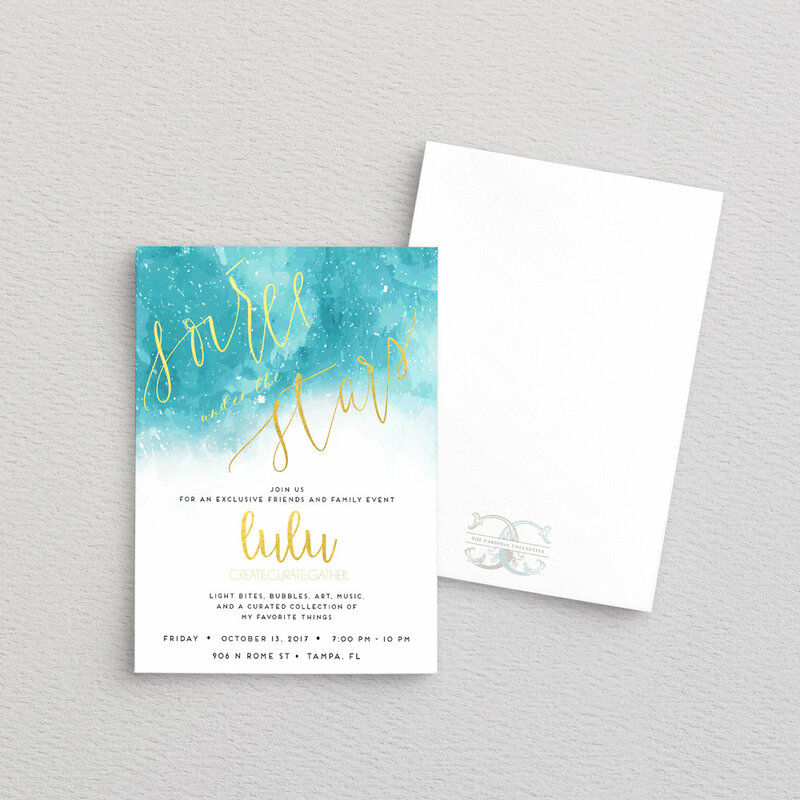 All of The Cardinal Collective invitation designs are completely original and start the old-fashioned way — with paintbrushes and calligraphy pens. You'll never see a stock image or canned script here, because they are created completely by hand. After final approval by the client, designs are then given the 21st century treatment and digitized in preparation for print. Design of a full, complete invitation suite, all hand-calligraphy. Design of a main invitation only, partial hand-calligraphy. 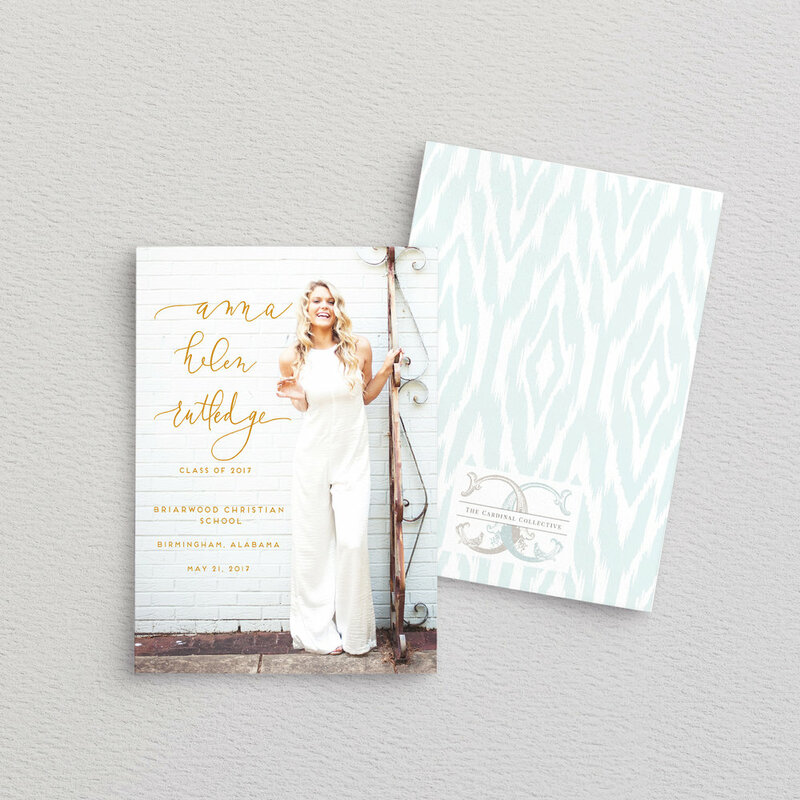 Starting at $75, enhance your invitation design with whatever you can dream up! Laurels, garlands, feathers, borders... whatever the bride can dream up! I love creating watercolor illustrations to enhance wedding invitations and make them unique from the mass-produced images you can buy elsewhere. They are customized to each bride, taking into account her color palette and style. Prices begin at $75. 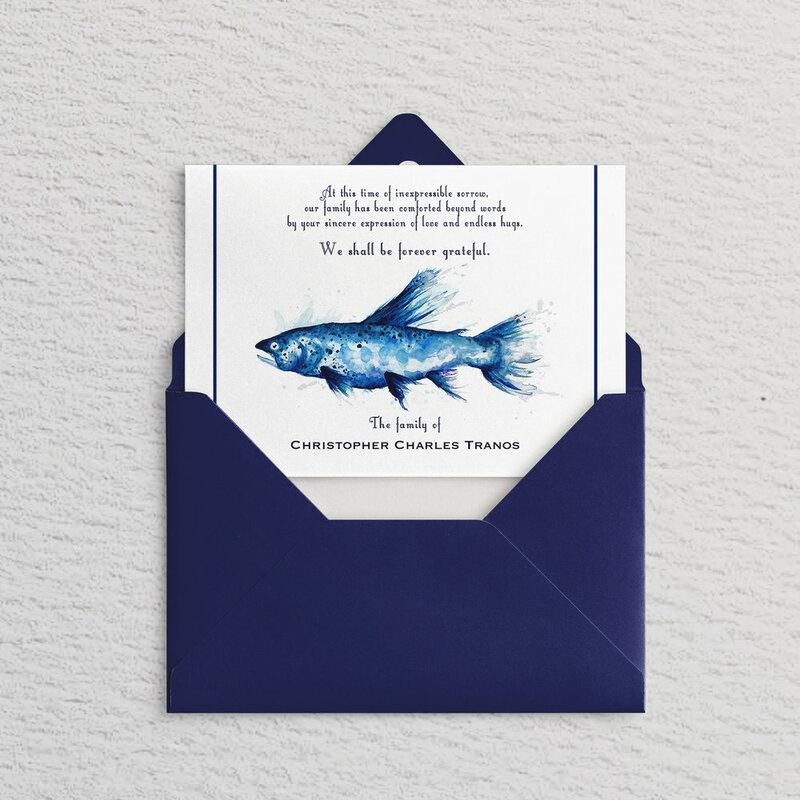 Please note: Due to a full booking schedule, I am unfortunately no longer able to address envelopes for invitations other than those designed by The Cardinal Collectivel. 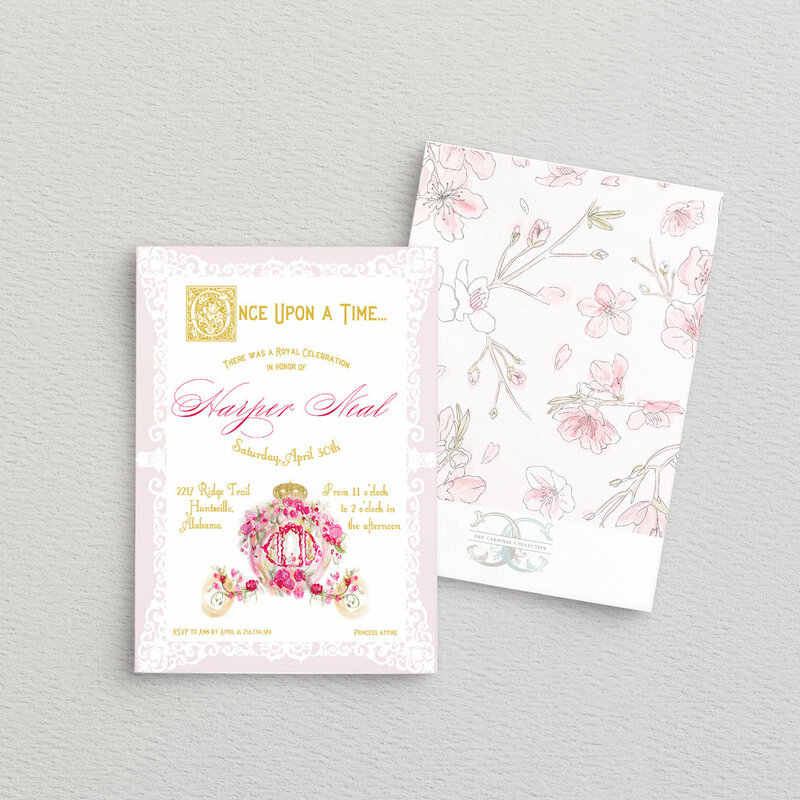 Please contact us if you are interested in a wedding invitation suite design and corresponding envelope addressing services. Thank you! Pricing for black or gold ink; custom colors available. Response Card: $50 — Includes wording, "The favour of a reply is kindly requested by ___"
Reception Card: $50 — Includes simple, one sentence wording, such as "Reception immediately following ceremony at the Birmingham Country Club." 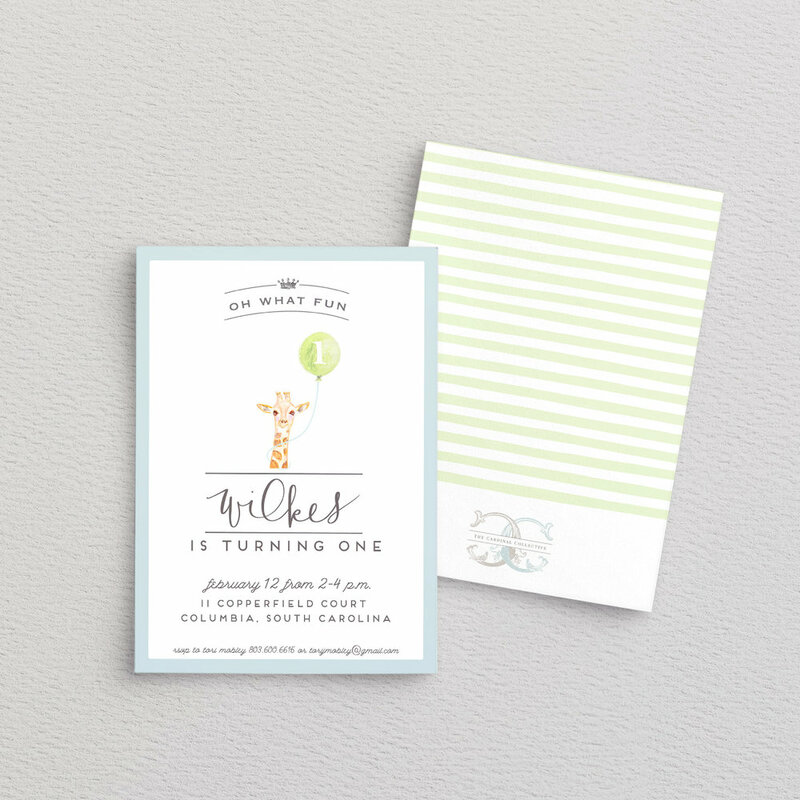 Place Cards: Starting at $2.00/ea — Includes one line such as "Mr. and Mrs. Smith," or "James Smith"
Interested in custom invitations? We would love to work with you!